UVI Workstation version 2.5.16 fixes the AU validation error on OS X 10.11 systems. [Fix] Issue with sustain pedal and arpegiator in some cases. - [Fix] Fix crashes when reloading song in special cases when authorization was not found. - [Fix] WASAPI support now working correctly. 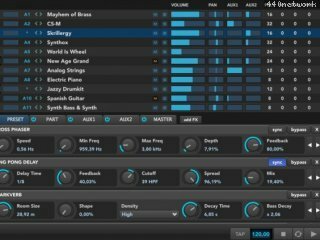 Version 1.1 features some unique functions for a FREE sample player including one of the most complete arpeggiator in the market, a full compatibility with 64 bits PC computers, comprehensive search engine inside the UVI Soundbanks and more ! [Fix] Fix issue when reloading songs when using MSI or Ethno soundbanks. 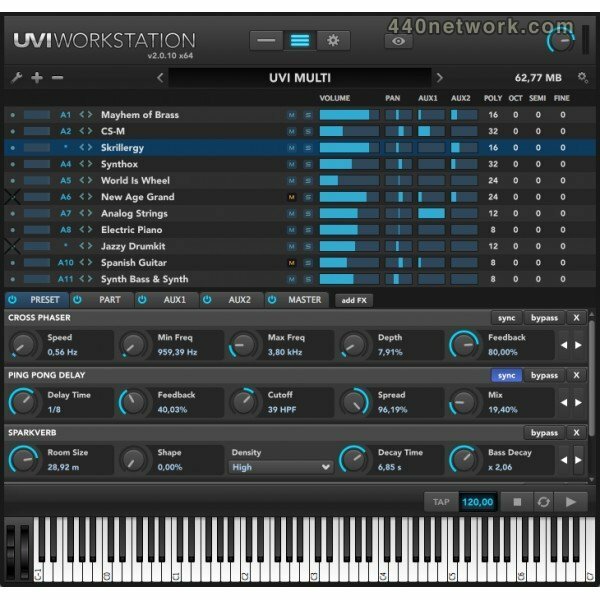 If you are into guitar synthesis at ALL you NEED this-UVI workstation is a multitrack sample application whose first six correspond to midi mono mode as sent by Roland or Axon with track1=Hi E to track6=Lo E. Fantastic. UVI Workstation DOES NOT require ilok ! The PACE ilok extensions are required, but not the key itself. Technically "free" but requires iLok. :( Laptop hostile & hobbyist hostile.